This old fashion Date and Walnut Coffee Cake reminds me of something that would be served in the Middle East. It’s filled with dates and walnuts and perfumed with cinnamon. 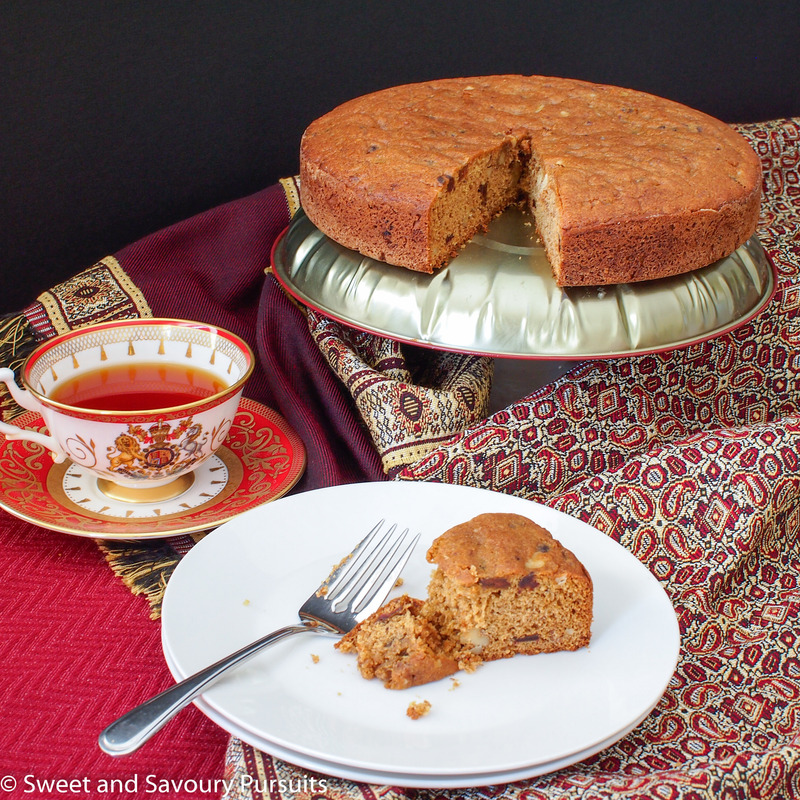 It’s a simple cake, yet sophisticated at the same time and is a perfect treat for tea time. When making this Date and Walnut Coffee Cake it’s important to soften the dates in a hot liquid, I chose half a cup of hot coffee, but if you prefer you can use very hot water. I think it would also be delicious if you soaked the dates in some hot black tea. The soaked dates help make this cake moist and perfectly sweetened. 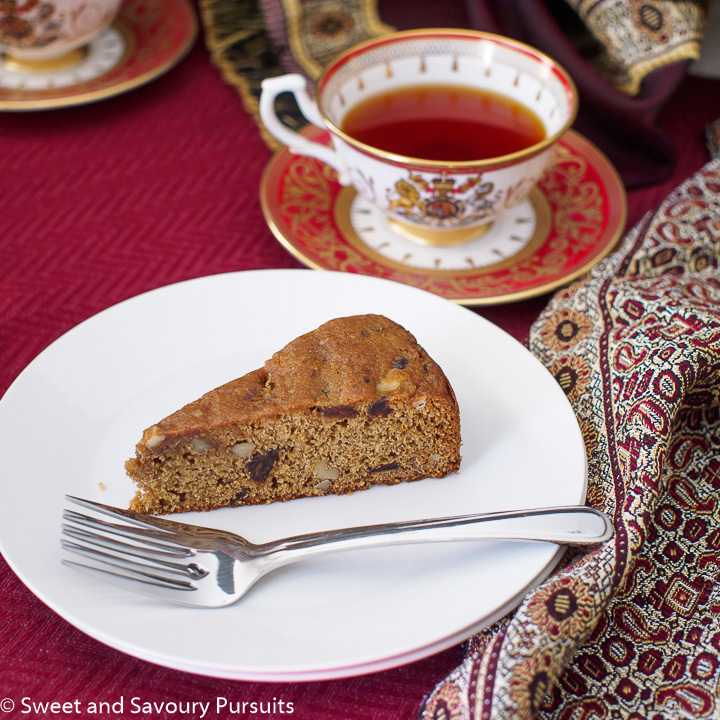 The walnuts add a bit of crunch which is a nice contrast to the soft dates and the flavours of coffee and cinnamon makes this cake absolutely delightful. Enjoy! Thank you! Its actually one of my favourite cakes! This cake seems lovely, it reminds me of a cake my grandmother used to make. Hi Natasha, yes date and walnut cakes are old fashion, they were actually very popular in the 1930s!